Alice Through the Looking Glass – I didn’t see Tim Burton’s 2010 re-imagining of Alice in Wonderland, but did read up on it a bit before heading into this sequel from director James Bobin (Muppets Most Wanted) featuring the colorful characters created by British author Lewis Carroll. I might otherwise have been quite confused. As with its cinematic predecessor, Alice Through the Looking Glass is not an instant classic by any stretch, but it’s a fine family film that is visually quite stunning and features a strong female lead in Alice, played by the extremely versatile Mia Wasikowska. Mia has a knack for making mediocre movies better than they might otherwise be. In this case, she plays a sassy and headstrong ship’s captain (in 1874 London) struggling to make it in a man’s world. With the fate of her personal and professional life in flux, Alice stumbles across a magical mirror (as opposed to a rabbit hole) that takes her back to the fantastical realm of Underland, where she discovers that her friend the Mad Hatter (Johnny Depp) is literally dying of sadness because he thinks his long-lost family may still be alive, but nobody believes him. Alice is skeptical, but in an effort to save her friend, she steals a device from ‘Time’ (embodied by Sasha Baron Cohen) and heads to the past to see what became of Hatter’s clan. It’s an ill-conceived plot, a bit heavy-handed with the morals (It’s about time—making every second count; you can’t change the past, but you can learn from it; the only thing worth doing is what we do for others; the only way to achieve the impossible is to believe it’s possible…), but in the end, it’s kind of sweet and sappy in a weird, eccentric, whimsical sort of way. Maggie’s Plan – is a quirky romantic dramedy starring the very talented and relatable Greta Gerwig (Mistress America). Gerwig plays Maggie, a young woman whose plan to have a baby on her own through IVF is derailed when she falls in love with a professor/aspiring novelist named John (Ethan Hawke) who is married to a brilliant academic, Georgette (Julianne Moore). What ensues is a bizarre sort of love triangle. The movies starts out like an indie version of the 2010 romantic comedy, The Back-Up Plan (with JLo), then proceeds to turn the genre on its head. Maggie’s Plan feels a bit slow at times, and like relationships themselves, complicated… but it’s generally a smart, witty film that explores themes of independence, marriage, mischief, sacrifice, denial, love, romanticism, fate, and destiny in rather unique and unexpected ways. A Monster with a Thousand Heads – is a depressing indie from Mexico (in Spanish with English subtitles) that I would have likely skipped except that the subject matter interested me and the running time was a mere 75 minutes. It’s about a middle-aged wife and mother who takes matters (and a gun) into her own hands when her health insurance company declines to cover a new drug therapy for her cancer-stricken husband. Desperate times call for desperate measures. As the plot unfolds, we see a generally stable, decent-hearted woman get caught up in a tragic series of events as she is forced to resort to blackmail in an effort to expose a corrupt insurance system that cares more about quotas than people. It’s a slow, dark, yet somewhat engrossing crime drama with a timely socio-political message. 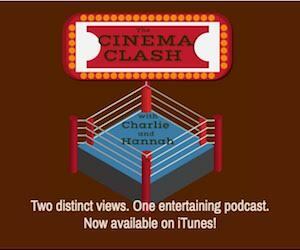 For more discussion and debate on the movies listed above, and other stuff too (including X-Men: Apocalypse), tune in to Cinema Clash with Charlie and Hannah. New episodes of the podcast air weekly on radiostpete.com, about 5:10 p.m. on Saturday and 9:10 a.m. on Sunday.